In Monday’s loss, Butler and Wade combined for 60 points, and Tuesday the duo combined for 51 points, 32 from Butler as he led the Bulls back from a 17-point first half deficit to take a lead going into the fourth quarter. 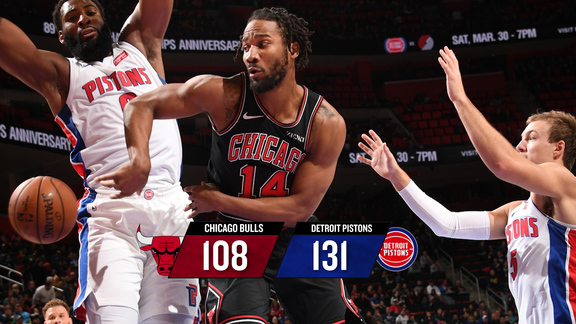 But an eclectic group of Detroit reserves led by Aron Baynes and some guys hardly anyone had heard of, like Darrun Hilliard, led the Pistons on a 13-1 run midway through the fourth quarter to send the Bulls to a 102-91 defeat. It was the sixth loss in the last nine games for the Bulls, 1-3 on this set of four games in five nights with the Bulls hitting their lowest stretch of the young season. They are now 11-10 and suddenly just a game and a half out of 11th in the Eastern Conference after such a promising start. And find some more scoring. Taj Gibson had another double/double with 11 points and 10 rebounds and Robin Lopez had eight points and eight rebounds. Hoiberg made some rotation changes again, trying Cristiano Felicio for Bobby Portis with a bigger Pistons front line. 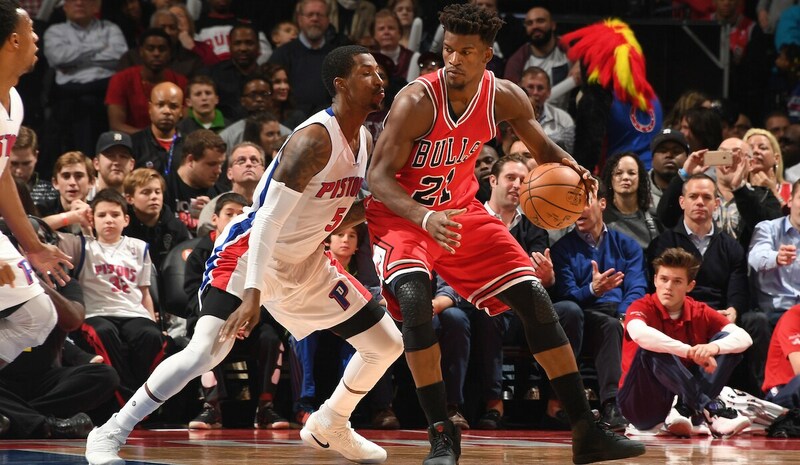 But overall the Pistons bench was dominant, outscoring the Bulls reserves 33-11 and with 19 fourth quarter points from the Pistons reserves as the Bulls ran out of energy again late. But given that the starters fell behind 21-11 seven minutes into the game, this isn’t just an issue with an inconsistent bench with Doug McDermott and Michael Carter-Williams out. McDermott is practicing with the Windy City Bulls and could play later this week. Carter-Williams is going to a soft cast, but could be out another month. 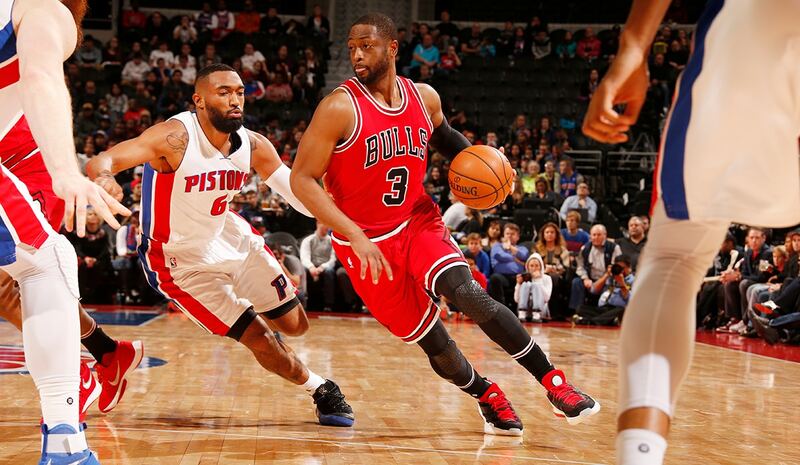 The rested Pistons ran the Bulls to start, just what you do with a team ending that four in five days grind. 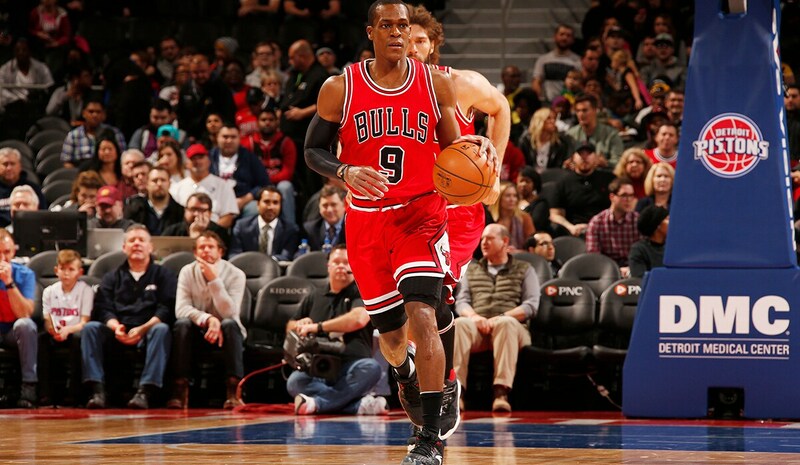 They shot 57 percent in the first quarter despite eight points from Rondo and led 32-21. Jon Leuer tormented the Bulls to start the second quarter, leading to a 38-21 Pistons margin and what looked like a blowout loss. But with Wade and Butler, this isn’t a Bulls team that gives in. Butler returned—though getting heavy duty now with 43 minutes Tuesday—with the Bulls trailing 40-26 with 8:39 left and put together his own run of 10 straight points and finishing a Wade lob for a dunk to end the half trailing just 51-44. It looked like a heck of a tough win for the Bulls as Butler and Gibson had eight points each in the third quarter, the Bulls finishing a 16-0 run that started in the second. Pistons guard Reggie Jackson was on a minutes restriction from injury and replacement Ish Smith was shooting two of 11. The Bulls were holding Drummond relatively in check with 10 rebounds. The Bulls looked ready to walk away happy after that Mirotic three for their biggest lead of the game with some 10 minutes remaining. But not so much Tuesday as unheralded Baynes outrebounded every Bull in the fourth quarter, Hilliard had a big three and fast break score and the Bulls trying some hack-a-Drummond did little. 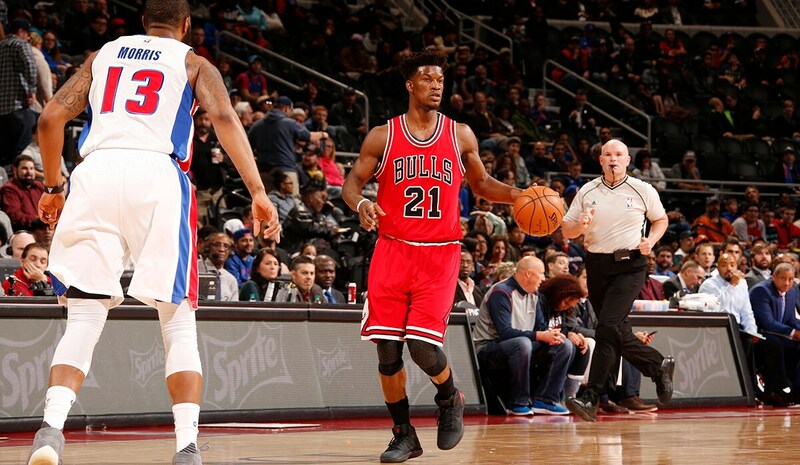 The Pistons bench scored 19 fourth quarter points; the Bulls scored 19 fourth quarter points. “Just need to win a couple of games,” said Butler. “Whenever you win everything is fine and dandy; whenever you are losing a lot of people have things to say, as they should. They have the right to do so. We win a couple of games and this is all behind us, which we are very capable of doing.